1. The Loyalty Matters card is issued by and remains the property of Capital Chemist. Capital Chemist reserves the right to withdraw the card at any time and that Capital Chemist will not be liable for any loss arising from the withdrawal of the card at the sole discretion of Capital Chemist Pharmacy. 2. Capital Chemist reserves the right to alter or amend the conditions of operation of the Loyalty Matters program, or terminate the program at any time. No alteration, amendment or termination will affect any discount vouchers which have been issued at the time of any alteration, amendment or termination of the scheme. Capital Chemist will not be liable for any loss resulting from the termination of the scheme from the date that the termination notice is served by way of notice in a Capital Chemist. 3. Application for and/or use of the Loyalty Matters card indicates acceptance of the rules and terms and conditions of the Loyalty Matters program. Application for a Loyalty Matters Seniors Card requires presentation of a valid senior’s identification card. Loyalty Matters incorporates all senior’s discounts and no additional discounts are available. 4. To the extent permitted by law, Capital Chemist will not be liable for any errors, omissions, delays or disruptions in the operation of the Loyalty Matters program and will not be liable for any loss resulting from any errors, omissions, delays or disruptions in the operation of the Loyalty Matters program. 5. Capital Chemist reserves the right to adjust Loyalty Matters points accrued that have resulted from operator error, computer error and/or fraud or any other reason beyond the control of Capital Chemist. 6. Loyalty Matters points are not transferable. 7. All participants in Loyalty Matters must be residents of Australia or New Zealand. 8. The Loyalty Matters card cannot be used as a credit, guarantee or proof of identity card. 9. It is the Loyalty Matters member’s responsibility to notify Loyalty Matters administration, or the staff at any Capital Chemist, of any change of address or membership details of that member. Capital Chemist will not be liable for any loss of points arising from the time taken to replace a lost or stolen Loyalty Matters card. 10. Capital Chemist reserves the right to charge an administration fee of $2.00 GST for any additional cards issued for a member account. 11. The Loyalty Matters card is valid at any Capital Chemist and participating affiliated Pharmacies. 12. To earn points for a transaction, the Loyalty Card must be presented at the register at the time of the transaction, otherwise the Loyalty member details cannot be captured and points cannot be allocated. Points cannot be claimed for retrospective purchases. 13. Capital Chemist rewards points will be earned for purchases made at Capital Chemist stores. Excluded items include prescription items (which are unable to be discounted/credited under current health laws), gift cards, products advertised as being excluded and products where the granting of points would be otherwise be prohibited by law. 14. Loyalty Matters points never expire subject to the other terms and conditions outlined here. 15. Points are earned on every dollar spent. Part points are earned on part dollars spent. i.e a transaction of $17.81 will earn 17.81 points. Points earned are GST inclusive. 16. Bonus points will be offered on selected merchandise from time to time. 17. Loyalty, in the form of Loyalty Matters discount vouchers, will be issue at the point of sales in the form of a receipt to customers who have accrued at least 100 loyalty points. The qualifying loyalty point’s balances are calculated on each transaction. 18. Loyalty Matters will not be responsible for the replacement of any Loyalty discount vouchers issued where the voucher has been lost or damaged. These may be replaced at the discretion of the Loyalty co-ordinator should they have not been presented. 19. Loyalty Matters vouchers can be used at any time, for any goods that the Capital Chemist has in stock at the time of redemption, including prescription medicines. Loyalty Matters discount vouchers cannot be exchanged for cash nor is change provided when purchases do not exceed the value of the vouchers presented. 20. The redemption value of points is five dollars per one hundred points. The redemption value of points may be changed at the discretion of Capital Chemist at any time. 21. Loyalty Matters vouchers are individually bar-coded for security reasons. Loyalty Matters discount vouchers are transferable in that they may be redeemed by persons other than the member who was issued the discount voucher. The system will not allow a voucher to be presented more than once. Capital Chemist employees reserve the right to ask for the loyalty card linked to the voucher to be shown at the time of redemption. 22. Loyalty Matters discount vouchers will be issued with an expiry date of 90 days from the issue date. Capital Chemist is not required to honour a voucher that has passed its expiry date. 24. 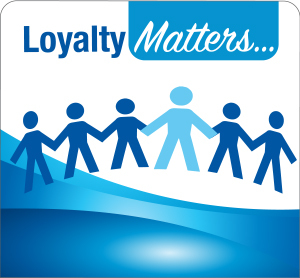 Capital Chemist reserves the rights, trademarks and copyrights of the Loyalty Matters Program including the ‘Loyalty Matters’ name, Loyalty Matters and all artwork, images and print copy associated with the Loyalty Matters program. This information helps us identify you accurately. By accepting your Loyalty Matters Membership card you consent to Capital Chemist and affiliated Pharmacies using your personal information and contact you for purposes mentioned above or related purposes and also to achieve those purposes, the information may be available to organization providing service to us as well as the pharmacy where you registered. Your personal information is stored on a secure database. You can request access to the information we hold about you at any time by contacting the pharmacy where you registered.